Life is a movie. Well, it sure does feel like it when you’re driving your new Maserati Quattroporte away from the Spanish Steps of Rome, racing through enchanting Italian streets as you ‘Tokyo Drift‘ towards roads lined with green trees and bright blue skies. As you drive through the winding country lanes that head to Florence, the love of your life is in the comfortable passenger seat beside you and is just as excited as you are. You’re either in love, or enjoying a hot spring fling. Either way, you’ll both be arriving at a beautiful destination soon enough, none other than Villa Moresca Resort, where you intend to enjoy a romantic holiday and create new memories that will somehow lead to your version of ‘happily ever after’. We don’t know about you, but that’s definitely the type of movie we’d want to star in. Italians are known for the best things in life: great food, fine wine, fabulous fashion and, last but not least, luxury cars, with a history of stunning rides that have been weaved into some of the most brilliant movies of all time. As a car that has lived through many series, the Maserati Quattroporte – the original race-bred luxury sedan since 1963 – is no exception. One of the most famous mafia films starring Al Pacino, The Godfather III (1990) featured the 1980 Maserati Quattroporte III in a gripping car chase scene that somehow is permanently wedged in every ganster-movie-lover’s psyche; that same model was also seen driving in legendary films such as Miami Vice, The Dead Zone and Rocky V.
Two Maseratis were featured in James Bond: Casino Royale (2006), a 2004 Maserati Coupe and a 2002 Maserati Spyder. And it came as no surprise that, when Universal Studios was searching for an automobile with beautiful styling, great performance and top-tiered class to star in Limitless (2011), they found it in Maserati’s GranTurismo, the car that ended up appearing in the trailer and becoming the paradigm for what true fast-paced city driving is all about. The Italian Maserati experience not only looks and feels like a movie, but because its cars have appeared in so many, there was enough ground to argue that it warranted its own movie. And the Italian carmakers’ most recent short stars none other than the 2019 Maserati Quattroporte. 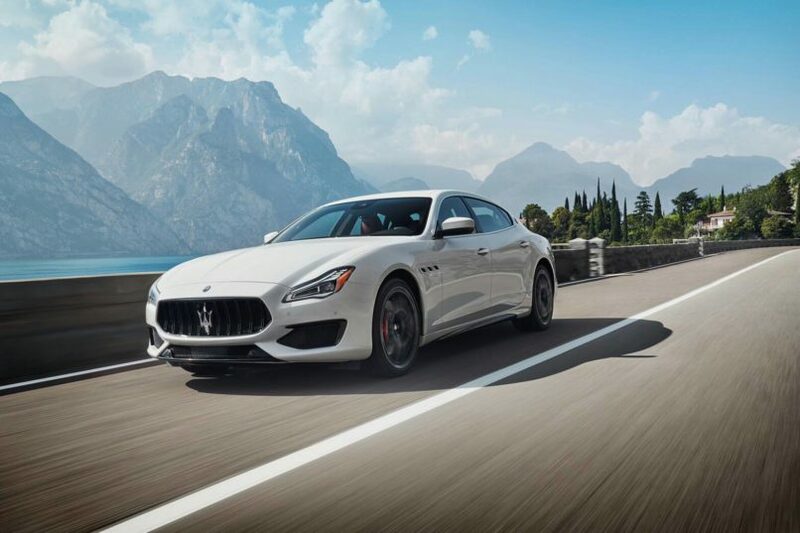 And we shift into a new gear, and new era with the 2019 Maserati Quattroporte, a Herculean example of authentic Italian design and heritage, with roaring sophistication and performance that continues in its journey towards shaping the future of luxury grand touring. But to get a true sense of the remarkable story of the Quattroporte, we have to take you back to its birth in 1963. Perhaps one of the boldest moves for a vehicle manufacturer at the time, what Maserati did was innovatively pair a successful V8 motor racing engine with a luxury sedan. This was the birth of the first ever luxury sports sedan and the world saw it as the fastest at the time. This was the moment the Maserati Quattroporte was born. 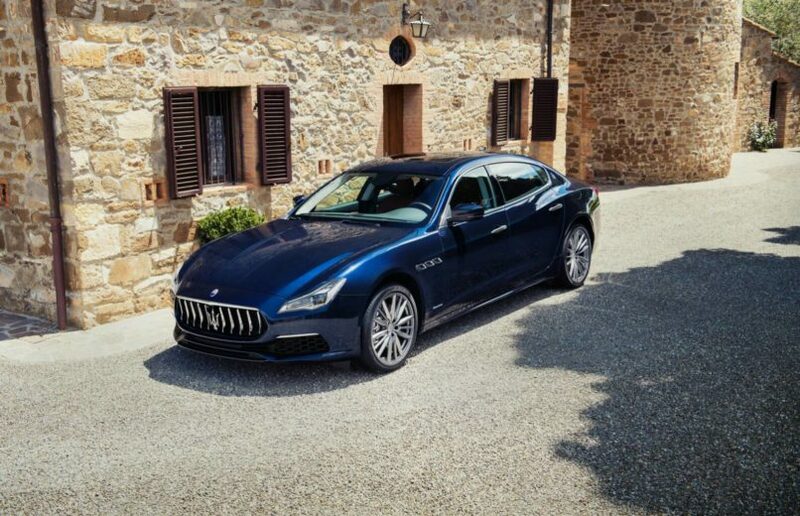 Fast forward to now, the Maserati Quattroporte is in its sixth generation, with the 2019 model offering an interior fit for the stars, offering spacious and elegantly crafted interiors, evocative styling and the type of horse power you’d expect from Maserati. 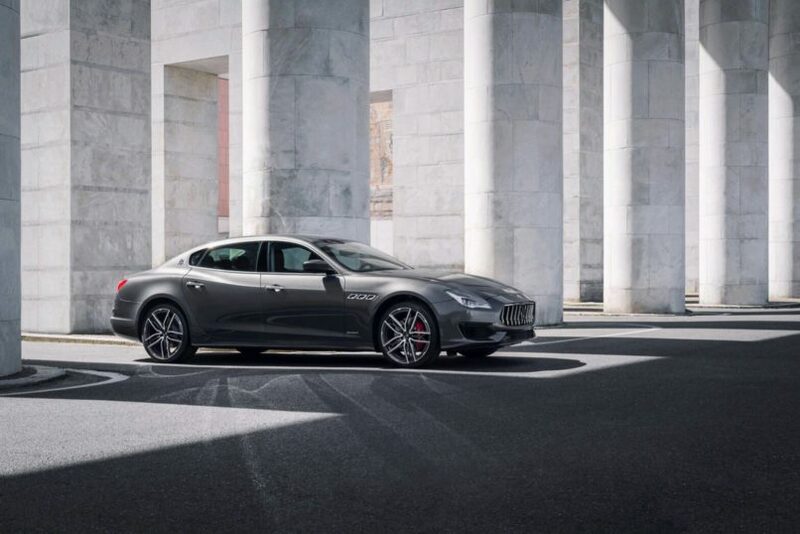 With trims offered in GranLusso for the luxury-seekers and GranSport for the born-to-be-racers, the Quattroporte roars with the race-bred power of the Ferrari-built V8 and V6 petrol engines alongside a V6 turbodiesel to produce even greater power. With 5 versions and colours ranging from black, several shades of grey, white and a dark blue, fans of Maserati can choose from the following: Quattroporte (350 horse power with maximum speed of 270km/hour); Quattroporte S or Quattroporte S Q4 (both featuring 430 horse power with maximum speed of 288km/hour); Quattroporte GTS (530 horse power with maximum speed 310km/hour) and Quattroporte Diesel (275 horse power with maximum speed of 252km/hour). With speed like that, Maserati doesn’t let this affect the passenger’s safety. It’s all about ease and peace of mind when it comes to the new model, especially when you’re cruising down the streets of your favourite city. Equipped with extensive Advanced Driving Assistance Systems, the car pairs safety with efficiency, creating a driving experience that’s both luxurious and comforting. And what would a car be without its accessories? The Maserati Quattroporte glides like a dark knight on exclusive wheels, rims and Maserati Genuine Tyres, and also comes with stylish transport accessories and car covers that bear the Maserati name. And our story ends with us driving into the sunset in the 2019 Maserati Quattroporte GTS. It may feel like we’re in a James Bond movie, or it may feel like a dream – we have to pinch ourselves to remember that actually, this is real life. The Maserati Quattroporte price range starts from THB 10.5 million and goes up to THB 18.9 million. You will find the Maserati Quattroporte at Maserati Siam Paragon and ICONSIAM. For more information, please visit www.maserati.com or contact +66 2 663 2233.